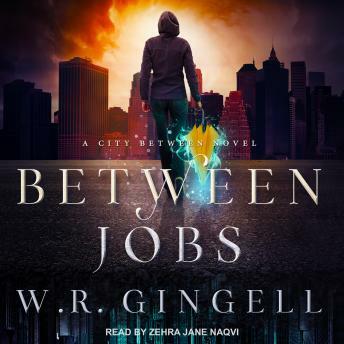 Listen to "Between Jobs" on your iOS and Android device. When you get up in the morning, the last thing you expect to see is a murdered guy hanging outside your window. Things like that tend to draw the attention of the local police, and when yo're squatting in your parents' old house until you can afford to buy it, another thing you can't afford is the attention of the cops. Oh yeah. Hi. My name is Pet. It's not my real name, but it's the only one you're getting. Things like names are important these days. And it's not so much that I'm Pet. A human pet: I belong to the two Behindkind fae and the pouty vampire who just moved into my house. It's not weird, I promise-well, it is weird, yeah. But it's not weird weird, you know?